Amazingly, I’ve managed to finish two projects this week (the three- (er, make that four, since I took yesterday off for a medical appointment) day weekend really helped)! I decided to do some non-garment sewing, just so I could have some quick satisfaction, requiring no fittings! (And no fussing to get the just-right wearing-the-garment photos.) Last year, I went on a kick of making coin purses and make-up bags. I made one such coin purse for my mom, which she loved. A couple of months ago, she asked me for a new one, and I finally complied. 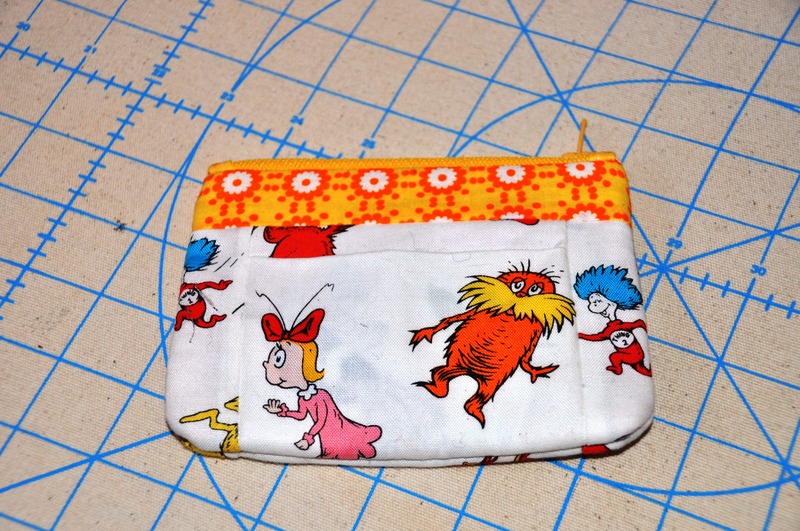 So, here we have the coin purse (made up in Dr. Seuss fabrics, of course, because what grown woman does not need a Dr. Seuss coin purse?). The fabric was from my local Pacific Fabrics. Next, I finally finished a quilt that I had started months ago. I had gotten the blocks assembled, but needed to do the borders and then decide what to do for the backing and binding. This weekend I finally got around to doing that. All of the fabric came from my local Joann Fabrics. 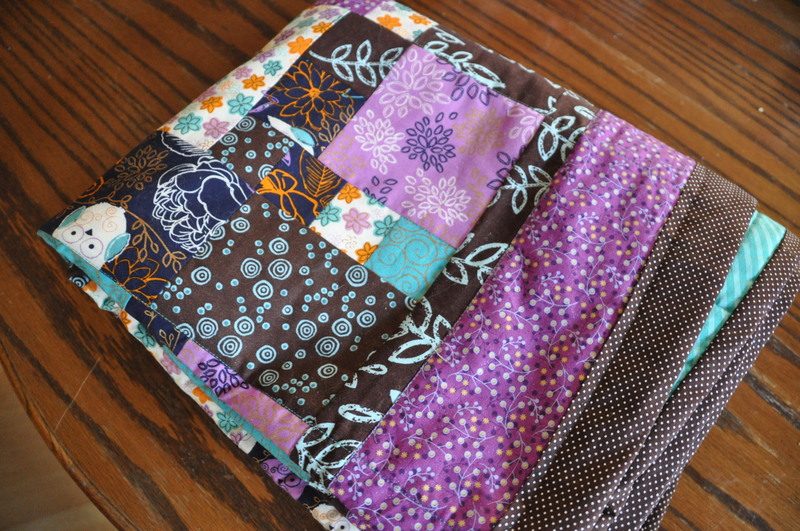 The fabric for the squares mostly came from a fat quarter pack that I found, and then I added the browns and the purple used for the border. I just loved the owl fabric and thought it would make a cute quilt. For the backing, I found a nice teal chevron fabric which highlighted the teals on the front. 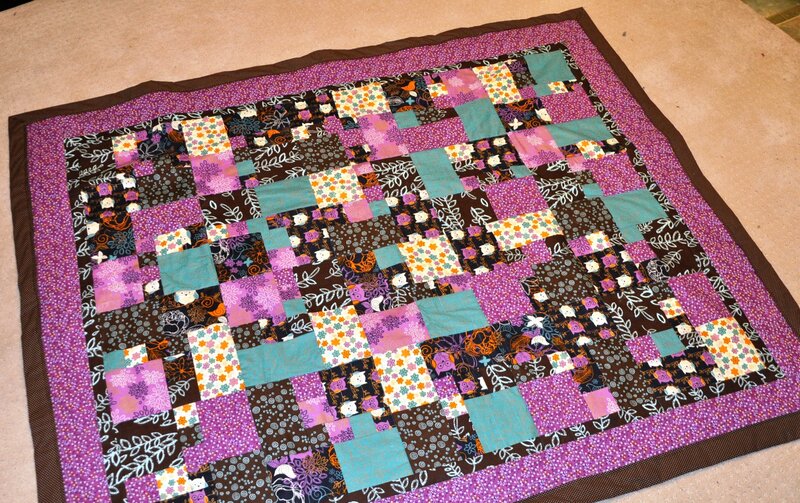 To quilt it, I just used basic straight-line quilting. I haven’t tried out free-motion quilting on my new sewing machine yet, and decided this quilt probably wasn’t the best place to start experimenting! 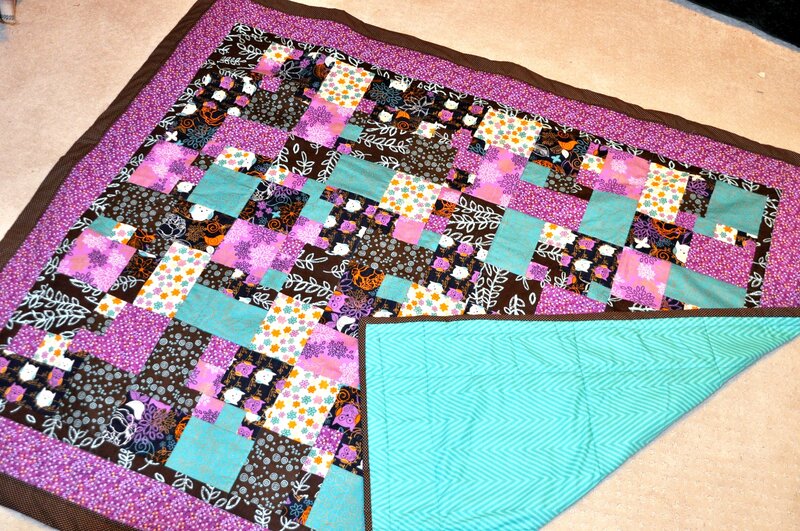 I’ll have to make up some small quilts to do some practicing. Overall, I’m pretty happy with it. I do tend to prefer more low volume quilts, but this one is bright and happy, which is a nice change from the dull and dreary winter we’ve been having lately. I don’t know what I’ll do with it yet, but one can never have too make blankets, right? And in other exciting news, I received the fabric I ordered from Mood for the Style Arc Ziggi Sew Along being hosted by SewMaris and Stacy Sews. Very exciting! I haven’t decided yet whether to make the body mostly black with the colorful fabric used as accents on the sleeves or vice versa. I ordered enough of both fabrics so I could do either. I will have to do some playing and imagining to figure out which way to make the jacket. After all the recent vet trips I’ve had to make because of this little guy being up to no good, it’s a darn good thing he’s cute. 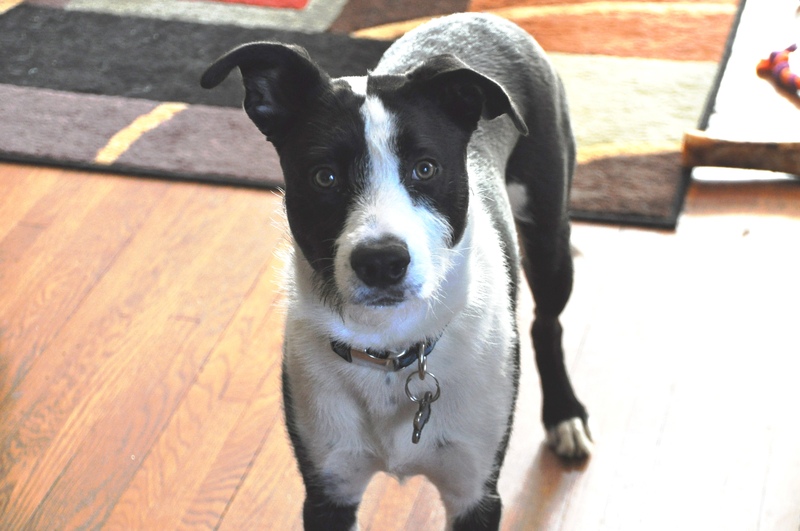 And utterly loveable. 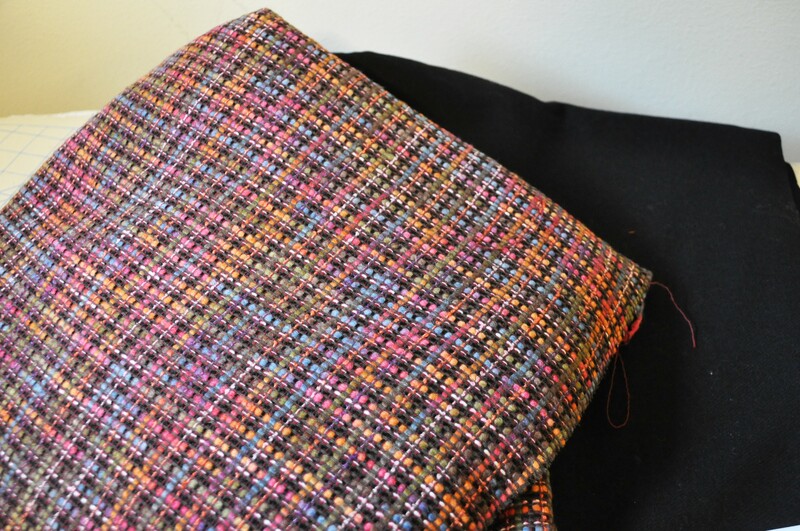 I bought my Ziggi lining today at District Fabrics! Can’t wait for the sew-a-long!